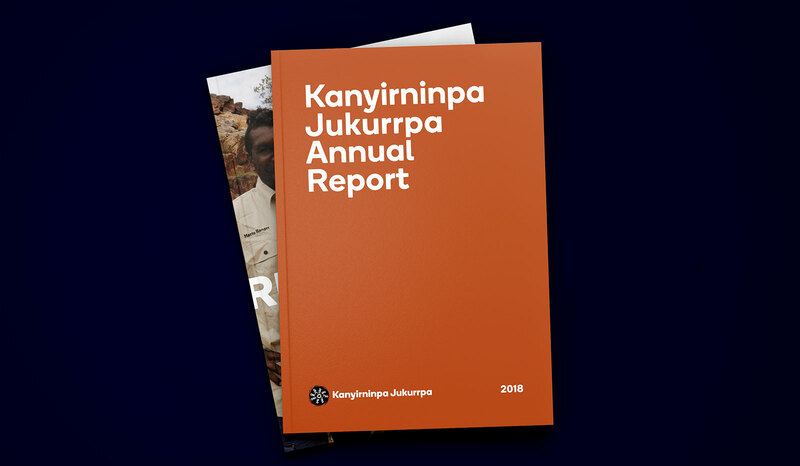 Kanyirninpa Jukurrpa (KJ) is a Martu organisation that was established in 2005 to look after Martu culture and help build sustainable Martu communities. 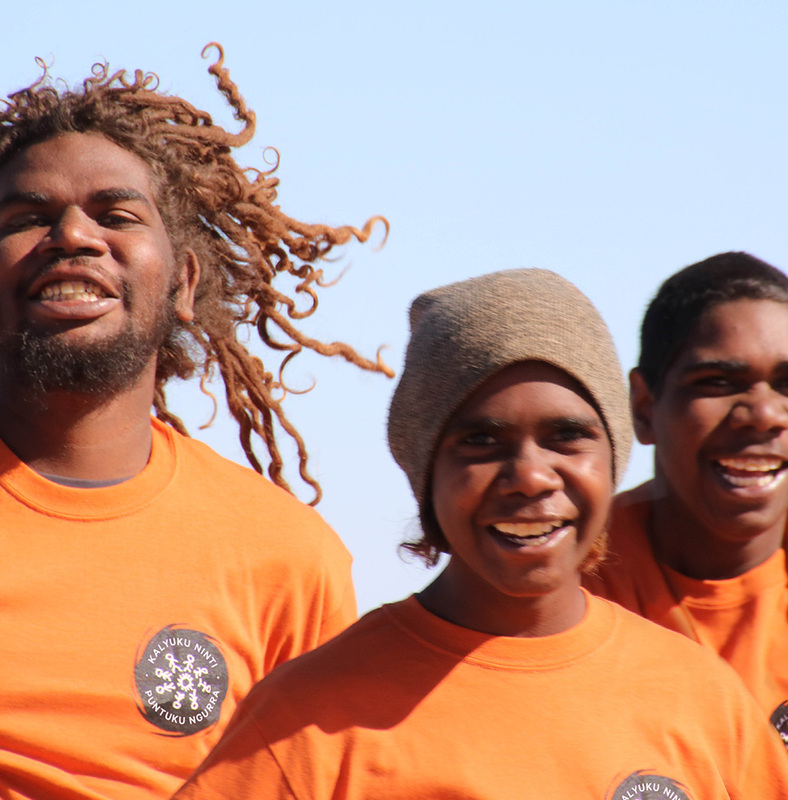 Martu are the traditional owners of the Martu native title determination, including Karlamilyi National Park, spanning three desert bioregions and 15 million hectares. 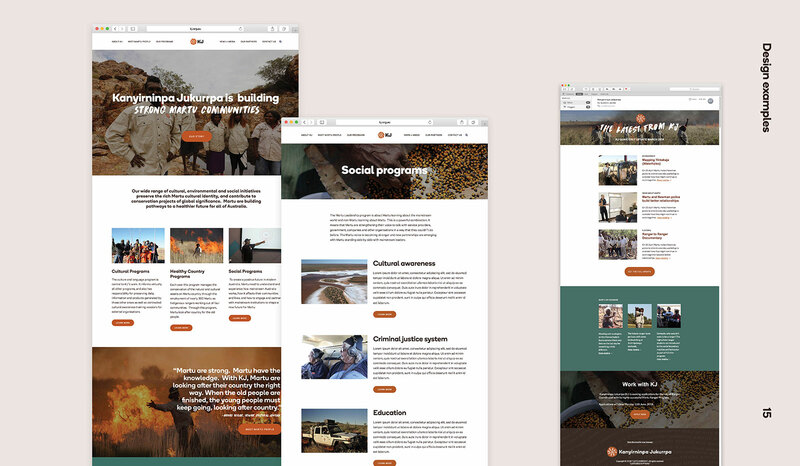 The impact of their work in conservation and cultural preservation has global significance – and yet their branding did not communicate the vital importance of their work to government, funding bodies, and the Australian public. 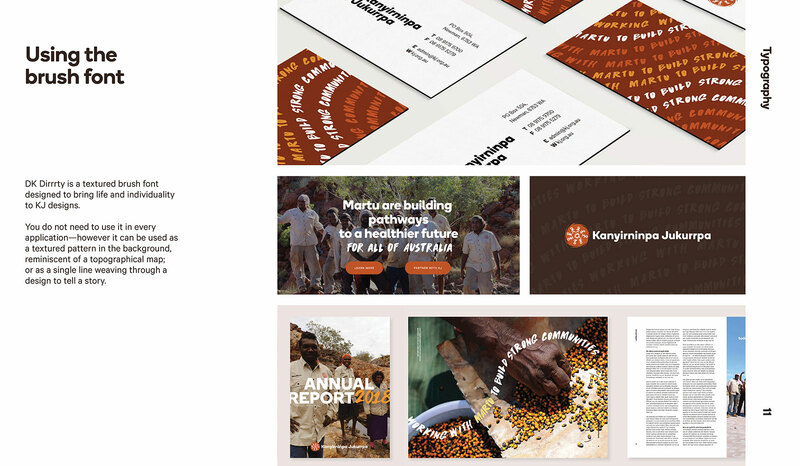 In this branding project, carried out at Today, my challenge was to collaborate meaningfully to enable the development of a culturally relevant and sensitive brand, co-designed by our First People, expressing the beauty of our unique country on behalf of an organisation dedicated to preserving it for every Australian. 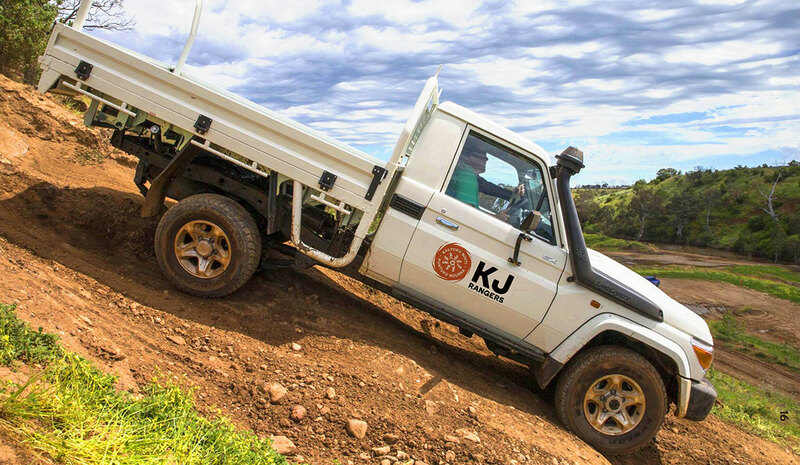 In addition, KJ is an organisation who need to use their budget wisely, and so it was essential that I developed an efficient and easy-to-use brand which could be rolled out on-country by KJ with their existing resources. 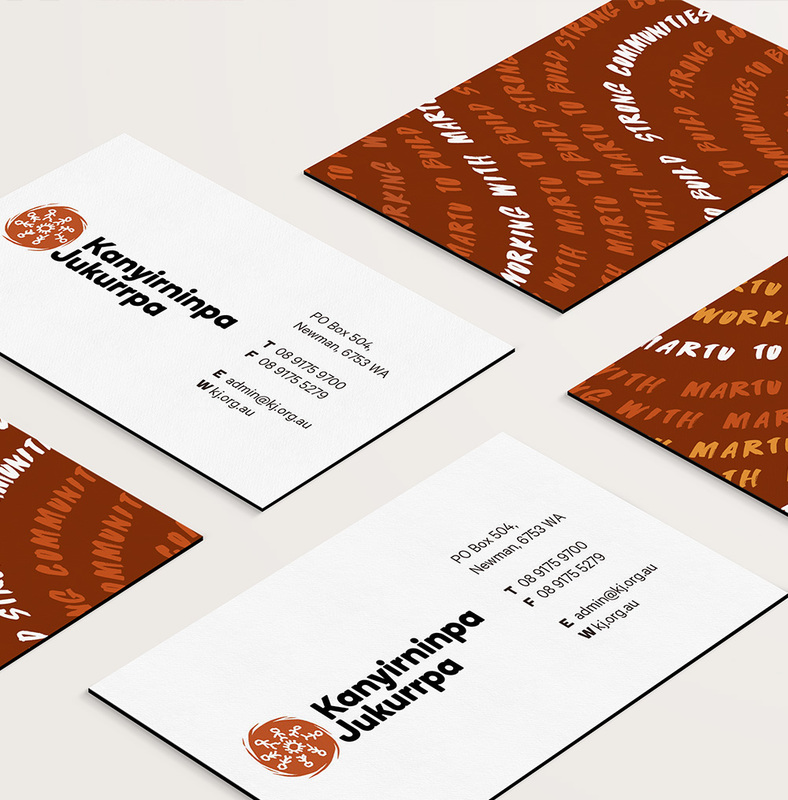 During the branding process, I collaborated with Martu at each key step, choosing colours and textures drawn from the country around them. 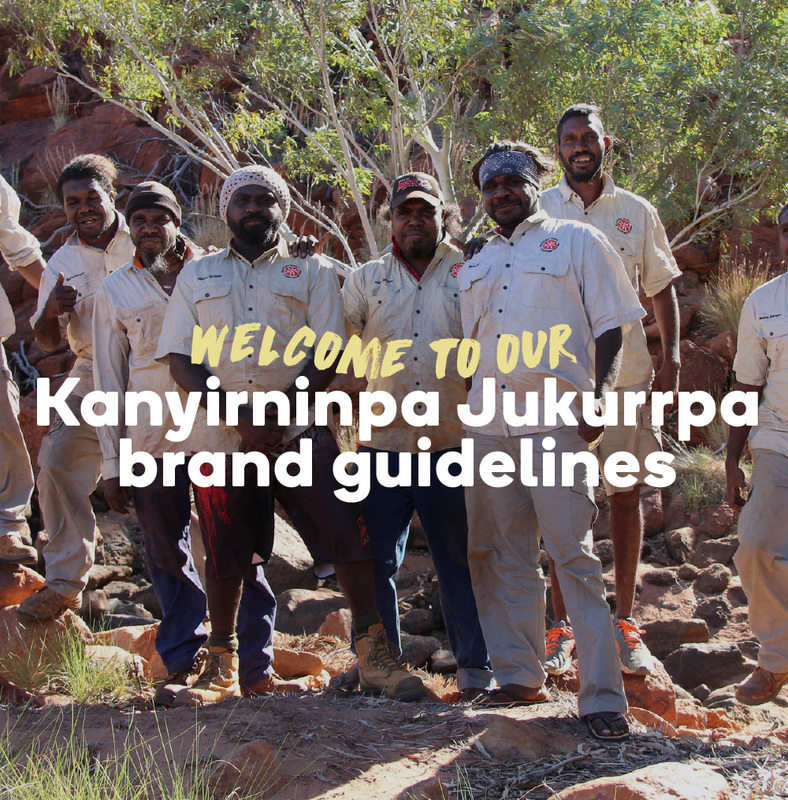 KJ’s new brand speaks of the beauty of Martu country and people, and will enable them to communicate with mainstream Australian organisations and systems with ease and professionalism. Today’s partnership with KJ has just begin, and will entail the creation of a geofenced app to preserve local language of culture and language into the future.